This fun Anthropology knock off is a warm and fuzzy way to decorate your door for the holidays. And this tufted wool wreath can stay up long after the Christmas decorations come down, well into the new year. 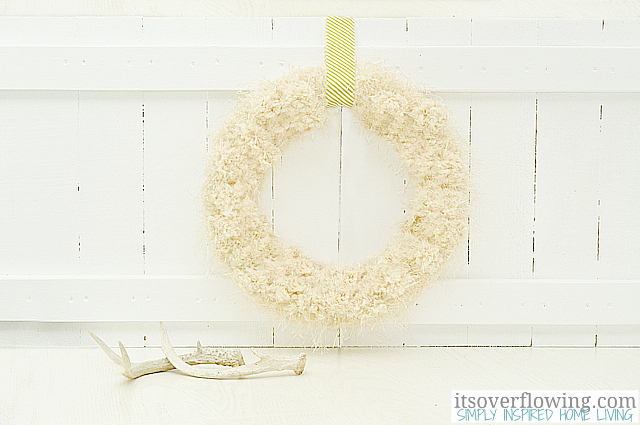 You can check out how to make your own wool Christmas wreath over at It's Overflowing. I've been crushing on that Anthro wreath too! And I just love your thrifty knock-off version - yay! I need to give this a try! And your video is sweet!